Woulda come if I lived down there. RBKILA wrote: yes im sure 99% of the hate is just jealousy from morons. Congrats Damo, car looked great, although a little lonely !! CVE Performance, Now tuning E Series ecus !! Hopefully they run it again next year. 1st year will always be hit and miss, but given more time to prep i reckon there would be more interest next time. Wasn't there like 6 months to prepare for this one? Good job at 6th place damo. There was 2 months from when it was announced until you had to be entered. And one of those was the xmas period where its impossible to get anything done by a workshop. Along with delays in finding out details about licence requirements/supp regs etc. maybe they can try again at heathcote or Calder pulls their finger out and adapt the heathcote and all other dragway rules! Current Fastest time: 10.05 @ 136mph on 275 ET streets. one car and we came 6th..? thats a pretty good result. why didnt you take your 483.5 gigawatts iCER? 1992 Ford Courier LS1, big cam, big stall, big nitrous, and soon to be packing a big turbo.. Pretty decent result for the first time, and that only 1 car entered! ef_frmnt cause i dont have a cage/parachute/tailshaft loop. iCER wrote: maybe they can try again at heathcote or Calder pulls their finger out and adapt the heathcote and all other dragway rules! Doesn't matter what location they run it at. It is under the Cams rules, not the track's rules. Thanks peeps! I do try to impress and compete! Hopefully there are a lot more who come next year if it happens! Considering it was the first event, it wasn't too shabby, will be looking forward to a better organized and more populated event next year! mr.cve is the 10.99 a cams rules or a calder rule? As the rules for the 1/4mile were stated they were to follow the calder park rule list. You still wouldn't have entered icer. CAMS have nothing to do with drag racing directly, that's all done by ANDRA. Congrats again Damo, car looks very slick in the photos as always. coming 6th with just one car in the show and shine means a lot of people must have voted for Damo's display. They're looking to have another Forum Battle in Sydney later this year, as well as one at Calder next year. 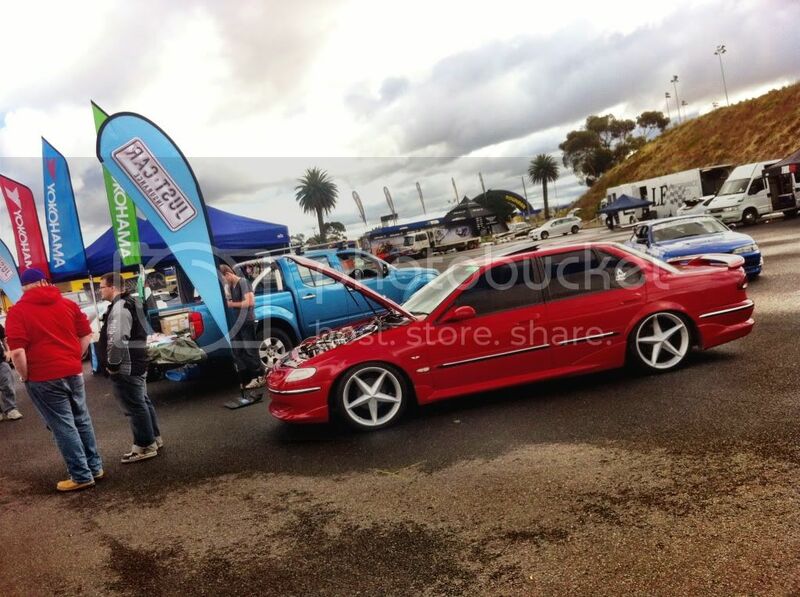 Shame this event wasn't in WA, we would have gone hard! What events did u do Damo? Hopefully they run it for you guys next year and more people enter. Show them what the humble e-series can do. 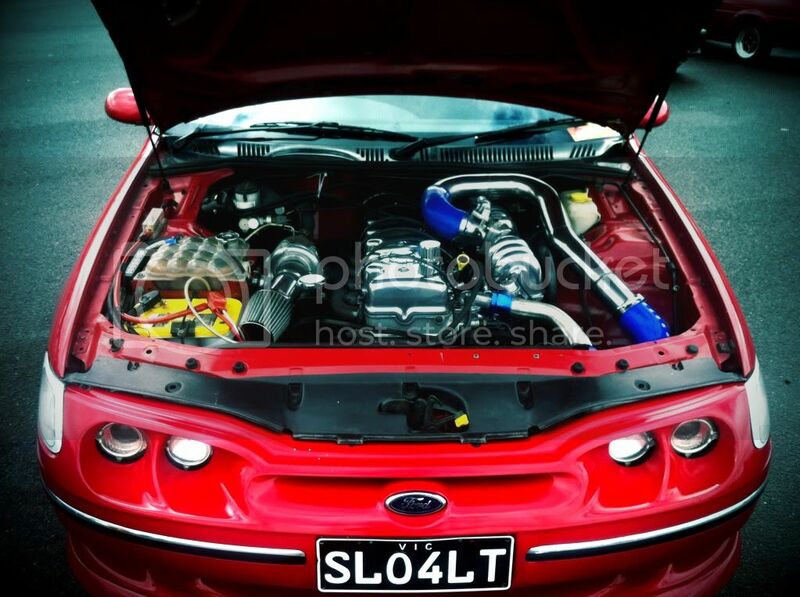 soarer entered under boosted falcon? long as i have a build thread there is nothing wrong with that is there?